Wonderfully at ease in a Tuscan, Spanish, colonial or hacienda interiors, this credenza / buffet will enhance your Mexican living room, dining room or office. 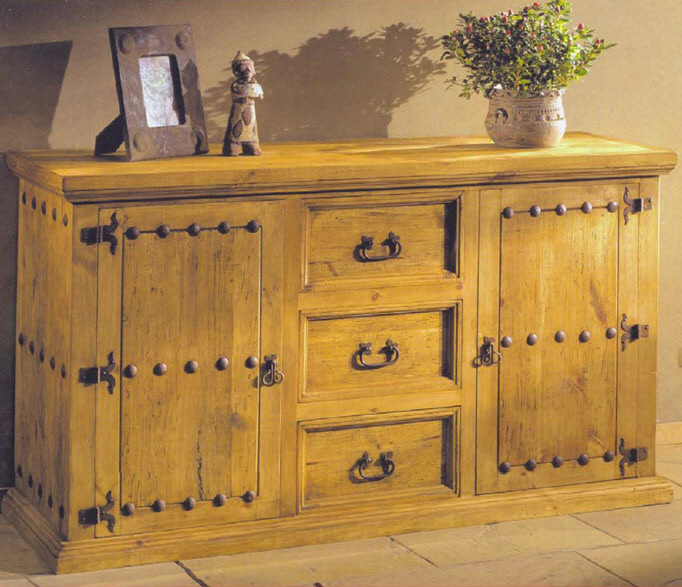 Large wrought iron nail heads, hinges and drawer pulls add panache and texture. A beautiful piece of furniture designed and built to last for many generations. Available in light, medium or dark finish. 100% sold kiln-dried pine wood.